In this series I discuss yield in weight of dried goods vs fresh, and effective cost per pound. 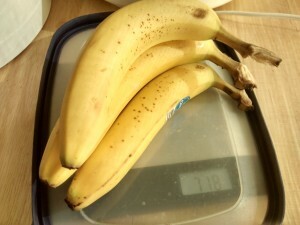 Based on my real world measurements, 1 pound (454 grams) of fresh bananas purchased in the grocery store should yield 2.6 ounces (75 grams) of dried bananas. 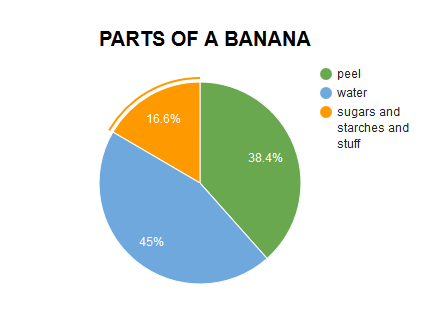 Expressed as a percent, your bananas will shrink to 16.6% of their original size. 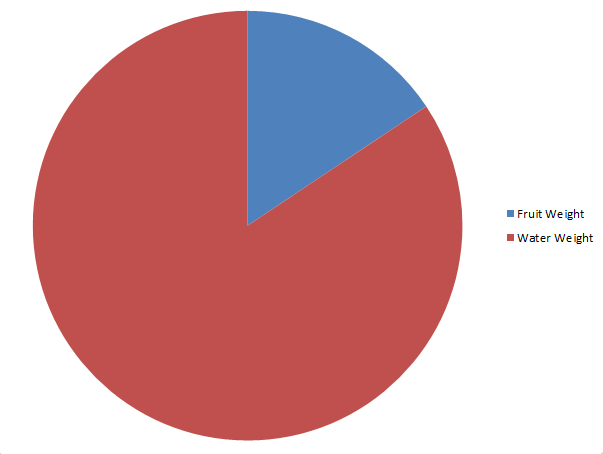 Expressed as a fraction, 1/6. Note that I include the peel in all of these calculations, for the simple reason that you pay for the peel at the grocery store. Peels have a number of uses I won’t discuss at length here. They can be left on the bananas for longer and their sugars with leach into the bananas, and they can be composted. 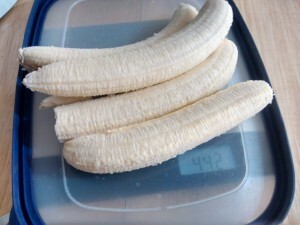 Four bananas were used for this measurement. 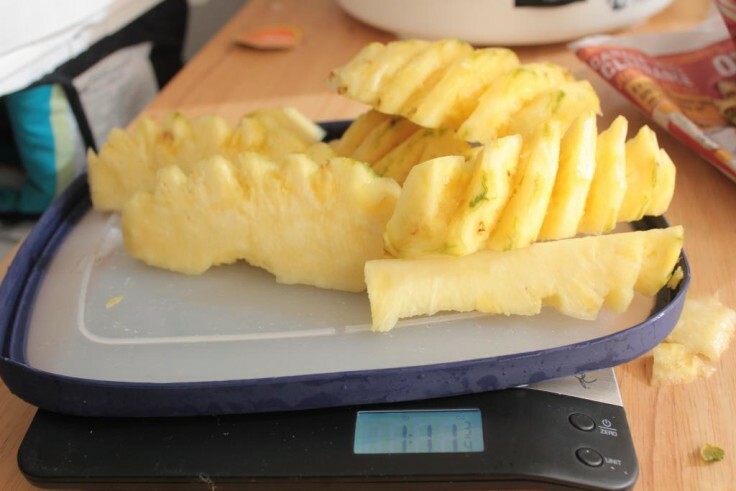 Bananas were weighed three times. And once after drying was concluded. 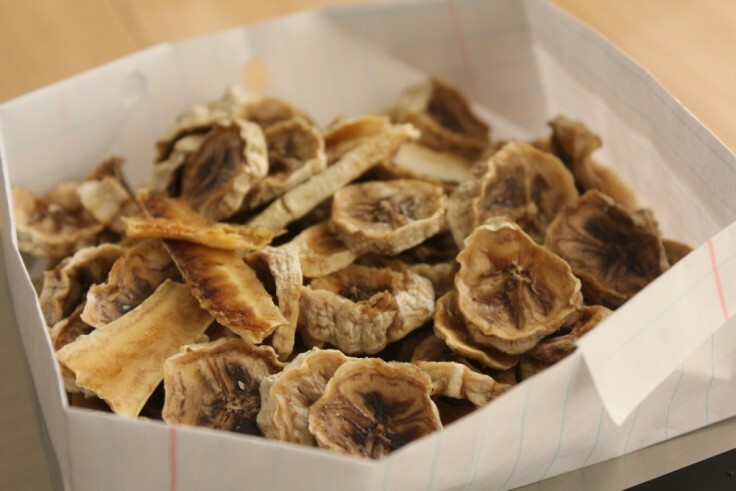 Bananas were dried for 15 hours and had chewy, leathery texture. 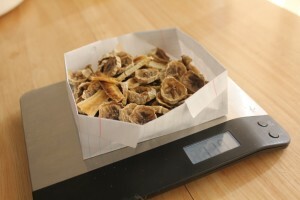 Your final dried weight will vary slightly based on level of ripeness and final dryness. Since dried bananas are shrunk into 1/6 of their original weight, finding the effective cost of dried bananas is as simple as multiplying the price of bananas at your local grocery store by 6. For example, if bananas cost 69 cents per pound, your effective cost of dried bananas is $4.14 per pound. You can compare this cost with the cost of dried bananas at your local supermarket. 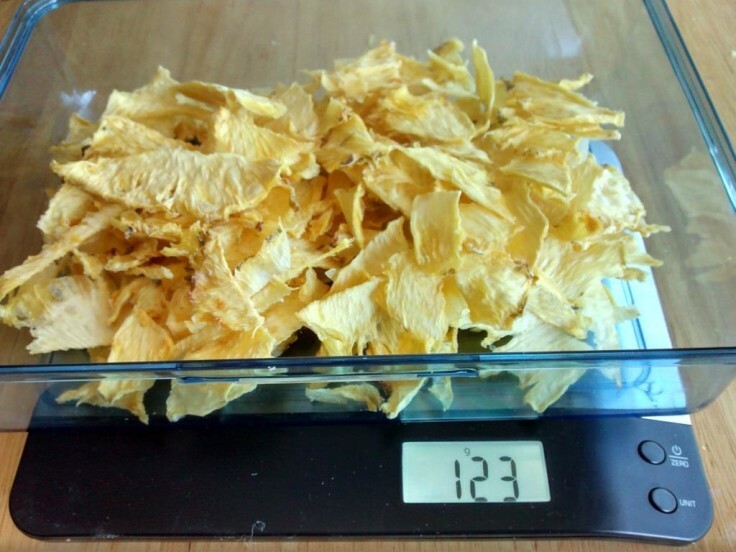 Note: Your true cost will be slightly higher based on the wattage of your dehydrator. 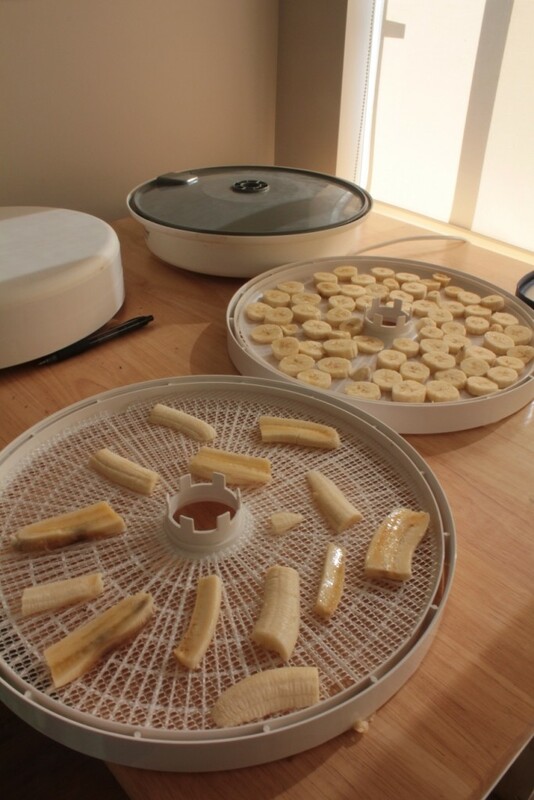 Lets say I dried exactly 2 pounds of bananas for 15 hours using my 500 watt dehydrator. That means I used in total 7.5 amp hours at 8 cents per amp hour for a total electricity cost of 60 cents, or 30 cents per pound. 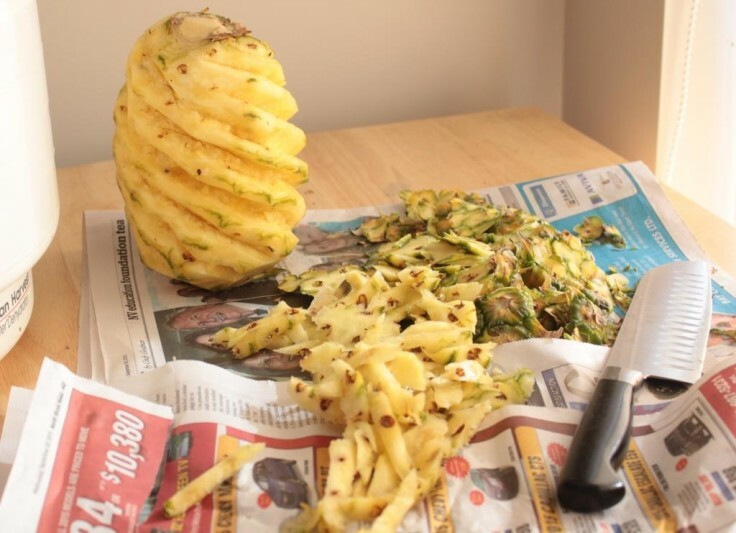 This figure can be cut in half by drying 4 pounds instead of 2, by the way.